Are you a "Doing it all" or "Do what matters" woman? Whether a stay at home; or working mom, an airplane-hopping executive, an empty-nester caring for multiple generations or a single juggling high demands of career and personal life, today's fast-paced modern world leaves women gasping for balance. Many women want to look to the Bible for guidance on how to manage their lives - but because the world of women looks so different today than it did when the Bible was written, it can be difficult to find the chapter and verse that seems to apply to our situation today. Thankfully, G-d has given us exactly that timeless, unchanging guidance for how to find peace, clarity, and G-d's best for our lives once we know where to look! The Life Ready Woman: Thriving in a Do-It-All World, reveals a profound biblical roadmap for how to find the abundant life we are longing for, rather than the stressful, torn, how-do-I-balance-it-all life we often feel like we are trying to keep up with today. Actually being a LifeReady Woman means that you are clear about your life, bold in your faith, and able to find G-d’s best for you, and the end result will be that you not only survive but thrive in our do-it-all world. G-d has given every wonderfully unique woman different skills and abilities, different desires, and different temperaments - and every woman around the planet and through the ages is certainly living in different circumstances. But no matter what a woman’s life looks like, the Bible says that God has an individual mission and plan that He’s carefully designed for each of us. And He wants us to find it. Starting January 2011, The Life Ready Woman and the Life Ready Woman Video Series will help every wonderfully unique woman to thrive as she identifies and courageously pursues G-d's unique design and callings for her. LifeReady Woman puts you on a roadmap to make decisions that will lead to relief, delight, and fulfillment instead of regret. Shaunti Feldhahn is a former Wall Street analyst, best-selling author of the book For Women Only, national speaker, and regular commentator in the media. She has been featured on The Today Show, PBS, TNT and Fox News - to name a few. You can learn more about her many activities by visiting her website Shaunti.com or get some great mom advice from her at MomLifeToday.com. She and her husband live with their two young children in Atlanta, Georgia and enjoy every minute of living at warp speed. Not only, is MomLife Today helping promote Life Ready Woman, but they are thrilled to announce that Shaunti will be joining MomLife Today as a regular contributor!! 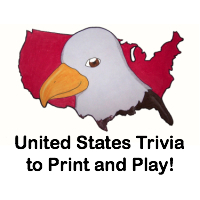 To enter click one of the icons below, then tell your friends. The winner will be announced on March 2nd on the MomLife Today website. MomLife Today provides encouragement, advice and resources to help YOU with your daily Momlife! Because...every MOMent counts! This is really a great book for giving Christian women a path to follow G-d that will help them live better, more faithful lives. For a Jewish woman, it gave some insights that I could internalize, but most (if not all) of the verses mentioned come from the New Testament and therefore do not apply to my religion. (But that's ok, because the book was not written with Jewish women in mind.) :-) However, many Christian and Jewish values are quite similar, and much of the advice on how to live a better live in general really do apply. For example, some of the "wise steps" for someone married with preschoolers are: being there for your children, keeping time for your marriage, avoiding major debt, and carefully evaluating your and your husband's careers. That definitely applies to me and is fantastic advice. Some of those things we already do (like reevaluating our careers and avoiding major debt), but it's good to remember that we need to make time for each other and our kids. Even if you're not a particularly religious Christian, I am sure you would find that this book can help you to live a better live. If you're Jewish and can sort out the specifically Christian advice from general advice, then I would recommend giving the book a read. Overall: We give The Life Ready Woman an 8/10. 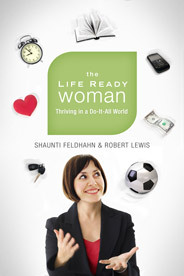 How would you like to win a copy of The Life Ready Woman? Comment here and tell me how your religion affects your daily life. 2) Follow @ShauntiFeldhahn on Twitter and comment here with your Twitter screenname. 5) Become a fan of Shaunti Feldhahn on Facebook and post on your Facebook wall about the giveaway (making sure to link to the giveaway page). Please comment here with the permalink to your Facebook wall post. 10) Blog about this giveaway, make sure to directly link to this post and comment here with the URL for 5 additional entries (be sure to leave two separate comments). 11) Add my button to your blog and comment with the URL of your blog for 5 additional entries (be sure to leave two separate comments). Make sure you have my updated button or your entries don't count!! This giveaway will close on March 5, 2011 at midnight. You must live in the US to enter. The winners will be picked via random.org and will have 48 hours to respond to my email or another winner will be chosen. We were sent The Life Ready Woman through LitFuse blog tour free of charge for the sole purpose of this review; no other compensation was received. All opinions expressed are my own. How does my religion not affect my daily life might be easier to answer. I think when you believe in God and strive to do His will, it affects most of the choices you make throughout the day.